Each year in September, the city of Toronto hosts a world famous cultural event; the Toronto International Film Festival. Each year in September, the city of Toronto hosts a world famous cultural event; the Toronto International Film Festival. This incredible celebration began in 1976 with the showing of 127 films that were produced in 30 countries. That number has since grown to 336 films from 64 countries, and attendance has increased from 35,000 visitors to 500,000. This influential festival begins the first Thursday night after Labour Day (a Canadian holiday held on the first Monday in September) and lasts for 11 days. The Toronto International Film Festival is actually comprised of two separate festivals, one for film aficionados and one that is held exclusively for the press and members of the film industry. Since 2010, the Toronto International Film Festival has been held in a facility known as the Bell Lightbox, located at the intersection of King Street and John Street. This building also features activities and exhibits throughout the year. During the Toronto International Film Festival, audiences can enjoy major Hollywood productions as well as independent features. The Toronto Entertainment District plays host to most of the activities and events that take place during the Toronto International Film Festival,and is also home to elegant theaters, like the historic Royal Alexandra Theatre and the beautiful Princess of Wales Theatre. Roy Thomson Hall and small independent theaters are also located in this area. 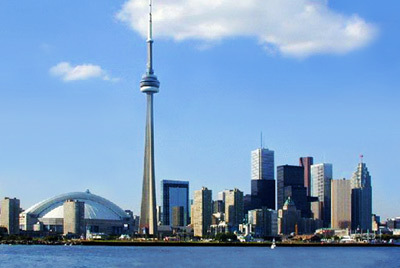 Those who wish to explore other popular local Toronto attractions may wish to take advantage of the Toronto CityPASS , which allows you to visit the CN Tower, Casa Loma, the Ontario Science Centre, the Royal Ontario Museum and the Toronto Zoo. Discover the vibrant nightlife in Toronto and the fabulous local shopping venues during your stay in this cosmopolitan destination while you enjoy the rich cultural experience of the Toronto International Film Festival.